The David Geffen School of Medicine at UCLA has responded on behalf of the University of California to UACT’s recent letters on the Xtandi (INN:enzalutamide) patent in India. In a letter sent by post dated September 7, 2017, received on September 19, 2017, (copy here)Dr. John C. Mazziotta, the Vice Chancellor for UCLA Health Sciences and the CEO of the UCLA Health System wrote to UACT, rejecting the request by UACT and others that the University abandon its appeal of a rejection of enzalutamide patent in India. Mazziotta did say “UC has brought to Medivation’s attention the concerns UACT has raised, ” but that was about it. The Mazziotta letter, on the David Geffen School of Medicine letterhead, ignored pricing issues that were the main concern that UACT and others had raised in two letters, one on May 24, 2017 (PDF), and against on August 9, 2017 (PDF). The issue was also raised during a public comment period during the September 13, 2017 meeting of the regents, by Emily Leonard, speaking on behalf of UACT and UAEM (see report and video here). On September 20, 2017, UACT responded to the letter from Dr. Mazziotta. 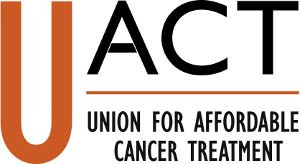 A copy of the UACT response is available here (PDF). On September 19, 2017, we received your letter dated September 7, 2017, on the subject of the University of California patents on the prostate drug enzalutamide, sold by Astellas under the brand name Xtandi. We appreciate that you took the time to respond to our letter, but are frustrated by the fact that your response did not address the central point of the initial correspondence regarding the lack of access and affordability of enzalutamide in India, and by the fact that you instead point to licensing guidelines that UCLA is not actually following in this case. The initial letter of May 24, 2017 from UACT and others made the critical point that in spite of the fact that enzalutamide was developed using taxpayer funds through grants from the NIH and Army, Astellas is selling the drug at excessive, unaffordable prices in India — over forty times the average person’s daily income. In India, as in other countries in Latin America and elsewhere, the unaffordable price means that the drug is not being made readily available to patients in need. In particular, healthcare and agricultural products may not be readily accessible and affordable to the world’s poorest people in developing countries and as a public institution striving to uphold its public benefit mission, the University should consider such public benefit and broad societal needs when developing licensing strategies for such technologies. One patenting strategy that the University and its licensee might pursue is to limit patent protection to those developed countries with a healthcare infrastructure that can afford the healthcare products and not seek patent protection in developing countries thereby allowing other manufacturers to freely practice the technology. Some examples of alternate licensing strategies to consider could be: (i) inclusion in a license agreement of mechanisms to allow third parties to create competition that affects or lowers prices in developing countries, create incentive mechanisms for widespread distribution of the licensed product, or reserve a right for the University to license third parties under specific humanitarian circumstances, (ii) inclusion of license terms requiring mandatory sublicensing to generic or alternative manufacturers in a developing country or a program that requires the distribution of the healthcare product at low or no cost to underprivileged populations with assurance that the licensee will continue to develop, manufacture and distribute the product to all such populations; and (iii) inclusion of uniquely crafted diligence provisions or other creative pricing tied to the patient’s ability to afford the technology that are consistent with sponsor’s march-in rights provision (if applicable). Financial terms for products that address diseases that disproportionately affect developing countries should, where possible, facilitate product availability in the country of need. At a minimum, the financial terms should recognize the low profitability of such products. The University could also consider foregoing royalties on products distributed in such countries or requiring the licensee to sublicense other companies if the licensee is unwilling to invest in the development of a product distribution network within that country. Around the world millions of people are suffering and dying from preventable or curable diseases. The failure to prevent or treat disease has many causes. We have a responsibility to try to alleviate it, including finding a way to share the fruits of what we learn globally, at sustainable and affordable prices, for the benefit of the world’s poor. There is an increased awareness that responsible licensing includes consideration of the needs of people in developing countries and members of other underserved populations. If UCLA is going to create guidelines or sign onto suggested practices that pay lip service to the very real problems of access and affordability and then completely ignore them, the many taxpayers who support your institution and those whose money supported the initial research of this important drug deserve to know the truth of how their funds are being used, and why UCLA is making licensing decisions that turn their back on people in need. Documentation regarding whether or not UCLA considered an alternate approach in licensing enzalutamide in accordance with the Licensing Guidelines suggestions regarding global health, accessibility and affordability. And if UCLA did not consider it, an explanation as to why not. “Astellas sells enzalutamide at a high price in India that is unaffordable to most cancer patients. The Times of India reported on November 10, 2016, that Astellas sold enzalutamide for an exorbitant Rs 3.35 lakh per 112 pills (a 28-day supply), which was estimated at the time amounted to $5,014.60 USD — around $44.77 USD per pill and $179 USD per day. Astellas sells enzalutamide for $26 USD per pill in its home country of Japan. You cannot turn a blind eye to this situation and escape responsibility. Real people are being denied access to an important treatment for cancer, a treatment that extends and improves quality of life of patients, as the consequence of UCLA/David Geffen School of Medicine pursuing a policy in contradiction to the very Licensing Guidelines that you cite. You can also stop patronizing us with the comment that the drug “would not currently be available for patients at all were it not for Medivation’s significant investment and diligent efforts.” This is a drug invented on government grants that has generated billions in sales since entering the market. Xtandi’s robust profits were the primary basis for Pfizer paying $14 billion to acquire Medivation. Nothing about the price of Xtandi in developing countries would have changed anything regarding the registration of this drug. Astellas is pricing Xtandi for high income countries and elites only in developing countries. This is a direct consequence of the UCLA management of its patent rights. We are asking you to correct this path, in light of excessive prices in developing countries running counter to your own licensing guidelines. UACT asks that you stop all efforts to appeal the rejection of the Xtandi patent in India.